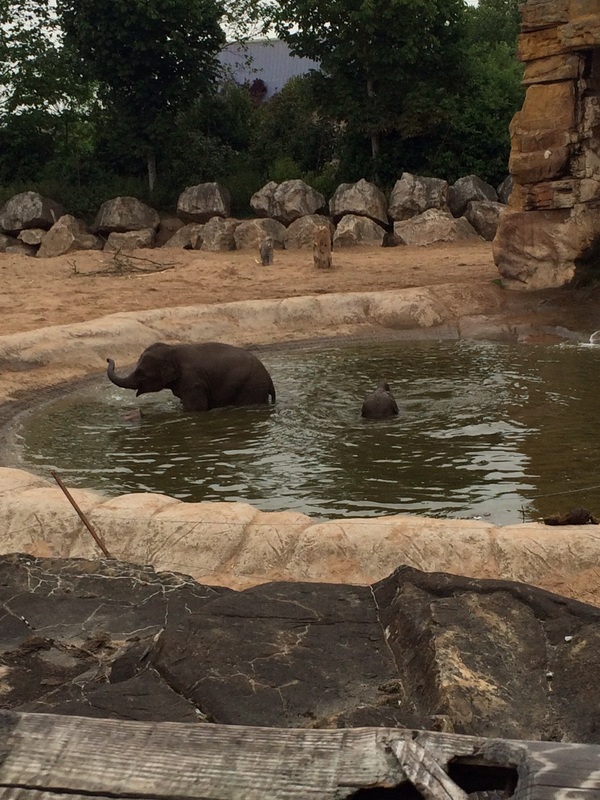 It had been some time since we visited Chester Zoo – three years in fact when we went for our grandson’s third birthday. On this occasion it was a surprise outing for my husband’s birthday – which my grandson thought was a brilliant idea of course! On neither occasion did we get great weather but unless it’s pouring down it doesn’t spoil the visit. I pre-bought our tickets on line the day before as it is quite a significant saving. 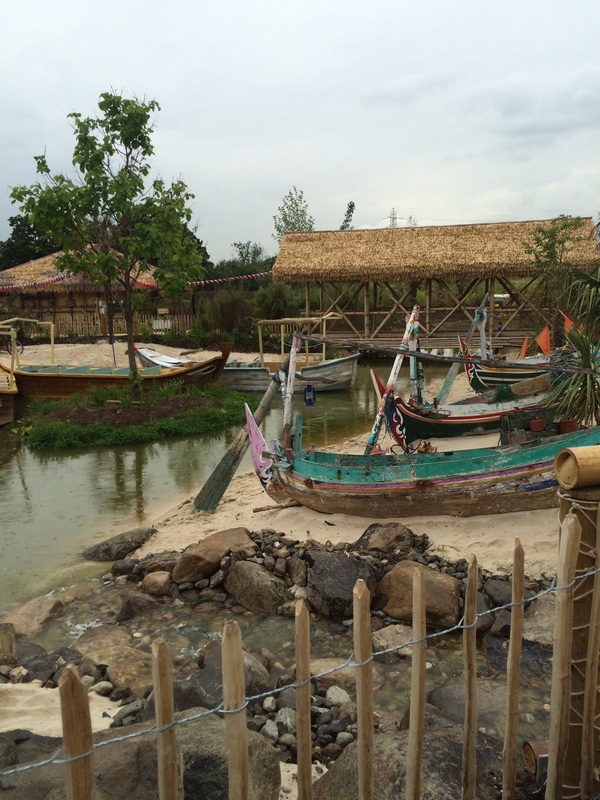 When you do this you might also get the chance to pre-book a time for the new Islands boat ride – more on that later. On arrival having the tickets means you don’t have to queue so you can head straight to the entry points. First stop through the gate was to the elephants. 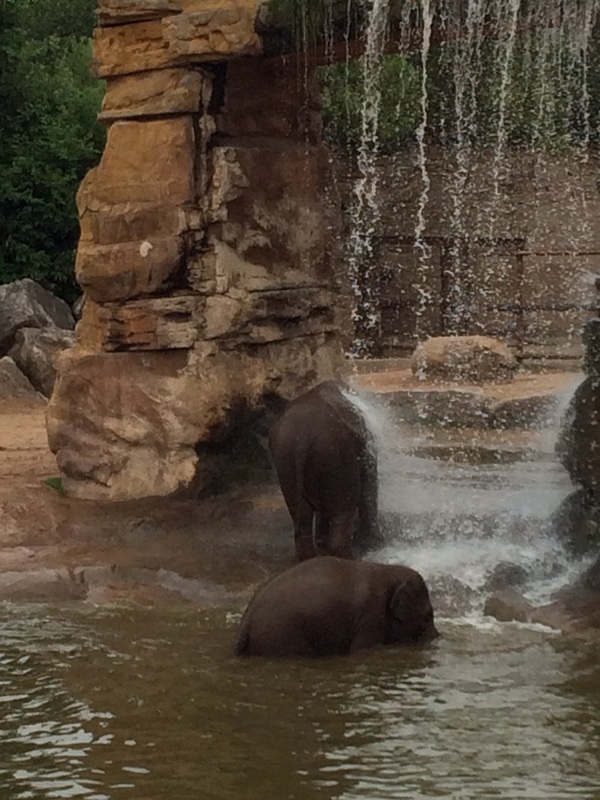 This turned out to be the highlight of the day as the two young elephants were playing in the pool and under the waterfall! Our granddaughter just kept saying “Wow, wow” and laughing. There are two points where you can get a pushchair so little ones can see without having to be lifted. I hope the zoo will eventually put in more of these around the place as it is so useful. Having read reviews we had taken our own picnic and there was a choice of where to eat this. We opted for the Picnic Green and were lucky to get a table as many families were doing the same. Perhaps more could be provided here. Our grandson enjoyed feeding the sandwich crusts to the ducks and a neighbouring father commented his children enjoyed the ducks so much he would just take them to a park with a loaf next time! We too all our cool bags etc to the car and returned to find the family in the Butterfly House. Again our little granddaughter was amazed – all the butterflies fluttering around her in the buggy. 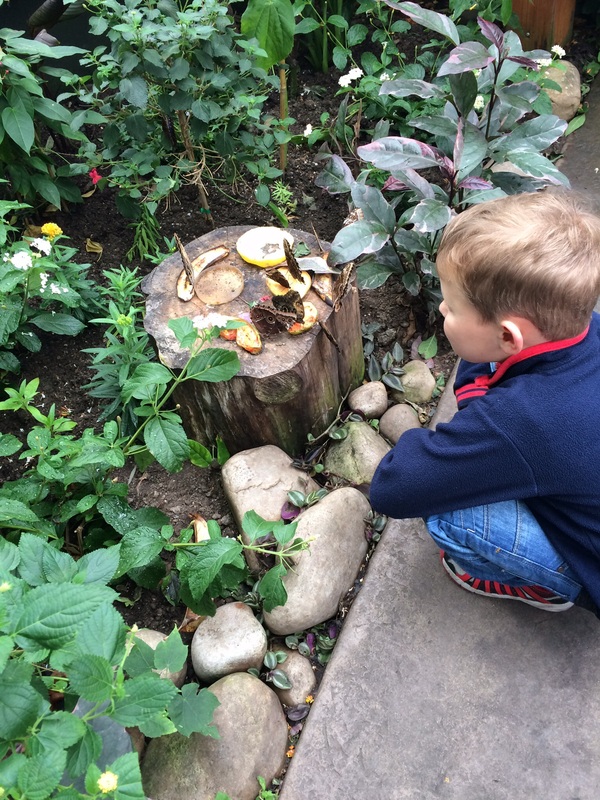 Our grandson has just followed the progress of a caterpillar through to butterfly in school so knew a lot of information and particularly liked getting so close to them at a feeding station. Other highlights for him were the Leafcutter Ants – again he told us all about them as we watched them moving across a branch with their supplies before we saw the underground display that confirmed his knowledge! 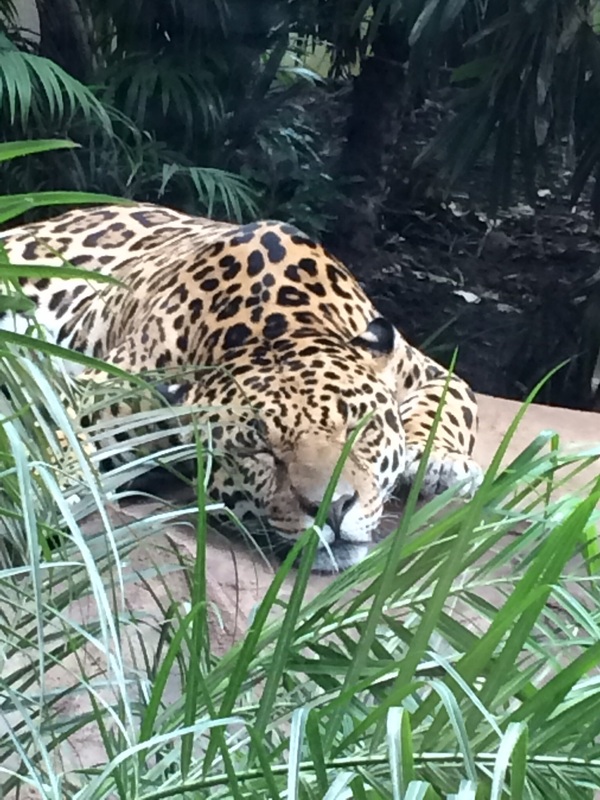 Then getting up close with the huge “Harry Potter” Python, and the gorgeous Jaguar – even though they were both fast asleep. He was brave enough to walk with us through the Bat Forest – though his Mummy took his 18 month old sister around the alternative route. I can’t say I liked it very much in there as at one point you go through a tunnel and the bats literally skim your head and body as they pass in both directions! We saw penguins, meerkats, chimpanzees, orangutans, lions, giraffes and more – sometimes having to search them out as they were hiding from the drizzly weather. We headed to the Islands at the appropriate time – this was quite a walk with little ones as the signs took us through the Painted Dogs area – I think there was a quicker way which we would search out next time. 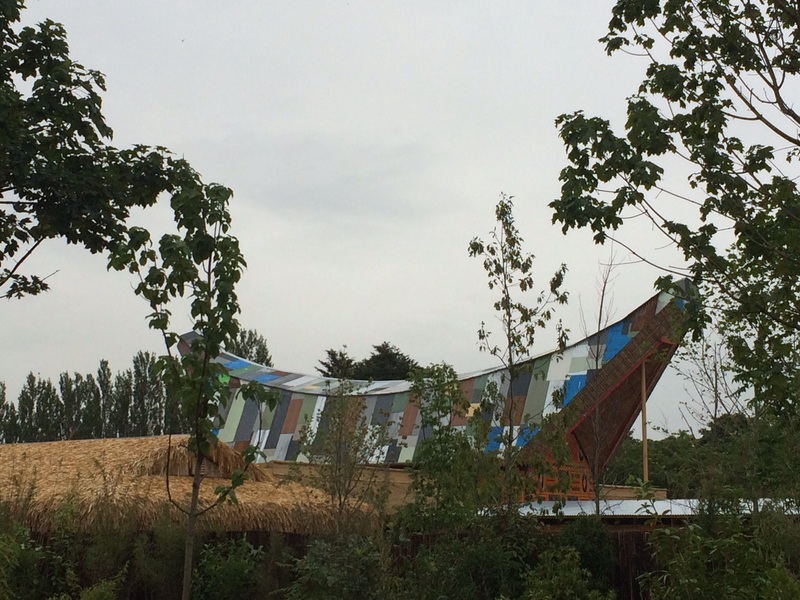 We met some other families with younger children who advised us that there was nothing to engage them on the boat ride as the area is not completed but we went to take a look as we’d walked so far. It will be great when it’s finished and the other islands are opened which a volunteer told us will be Autumn time. One area will be totally undercover. Also be aware – there are currently (July 15) no toilets in this area! By this point it was almost five o clock and time to make our way to the gift shop – glad to see there were a variety of items in there at all prices and after a good look round both of the children were happy with a memento of the day! 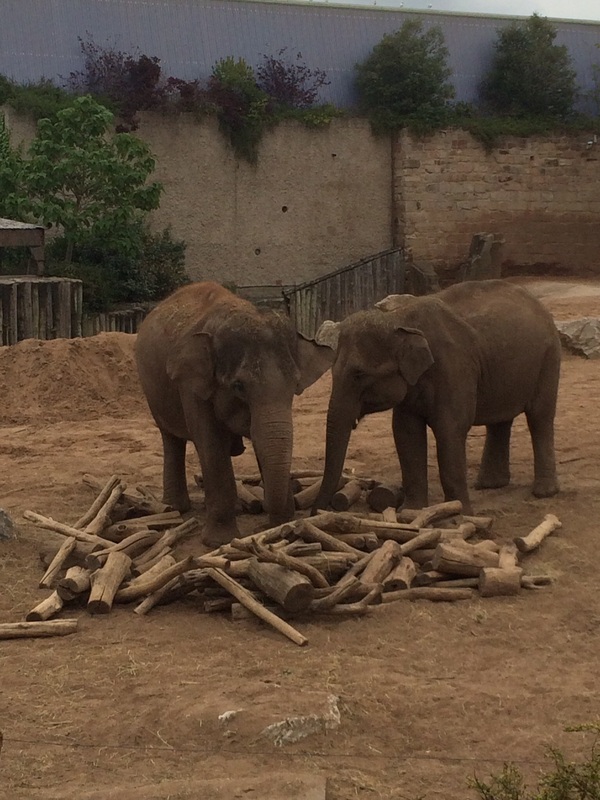 Thoroughly recommend Chester Zoo – tips – buy tickets online – take a picnic – be prepared for a lot of walking but Zoo carts can be hired for smaller children if required.